I’d been longing to write this today ever since I was accused by Mr. Sundaran Pillai for charging his website more than what was expected by him. I was speechless. I didn’t know what to reply. “Website for peanut price?? Seriously?” was what held my mind tightly at the moment. All these years of effort gone to thrash?? Was what I thought of. But I wondered “How can someone sell websites for a price lesser than mine?” There must be a trick. I began my research thoroughly and finally found a huge pile of glitches and loopholes. Now here I’m, exposing those I found through my detailed study of that cheap website available in the market. Even though the lower price is the main decisive factor for most buyers, that alone should be overweighed among other hard truths that are accustomed to its attractive cost. Do not ask why websites are costly. Ask why websites are cheap!!! Undoubtedly lesser quality websites are cheap, but it will additionally cost you customers and money and ultimately cost the success of your business. At times the low budget for your website can harm the quality of the web hosting plan provided. Obviously, the cheaper ones are hosted on the shared server on contrary to other better plans. A number of websites are hosted on a single server in this case. In fact, there is no definite number of websites that a single server may host, the number could be in the tens, or the hundreds or even in the thousands and overselling due to the highly competitive and saturated nature of the market is guaranteed. Your cheap website is present on that physical server where available resources hosted are shared among many other users like you. When there is a lot of traffic, CPU cycles, email capabilities etc, you or other individuals on the same machine are likely to experience worse shared hosting performance. This sharing of the resources of a single server is the very reason why shared hosting plans are offered at affordably low and cheap prices. Shared servers are usually prone to hacking attacks. Any malicious activity that the server suffers affects the whole network of websites using the server. Major ones among those offer things, such as bandwidth, disk space etc, under an unlimited label. Biggest critical aspect in shared hosting is security. It does not matter how big or small your blog is, but security is an important factor that determines future of the site or blog of yours. So it means that there are high chances for security vulnerabilities. Especially in the world where people give foremost importance to privacy. The website is an extension of your business, its uptime, downtime, and speed is an integral part of the experience you are planning to provide for your visitors. Choosing the cheapest platform like shared web hosting should not be hampering the loading speed of your website. Remember, every visitor has only 10 seconds of attention time, if your website does not load in that stipulated time, you may lose your prospect. Let’s say you’re experiencing moderate traffic while Sundaran Pillai who is sharing the server with you gets a sudden burst of traffic. A neighborhood’s traffic can have a direct impact on your site, causing it to lag with pages that take forever to load. Overuse of the server resources by a single user can lead to multiple problems for the other shared server users. And one amateur user among the group is enough to misuse. The worst part of all, you might not have a clue what’s going on until it’s too late. 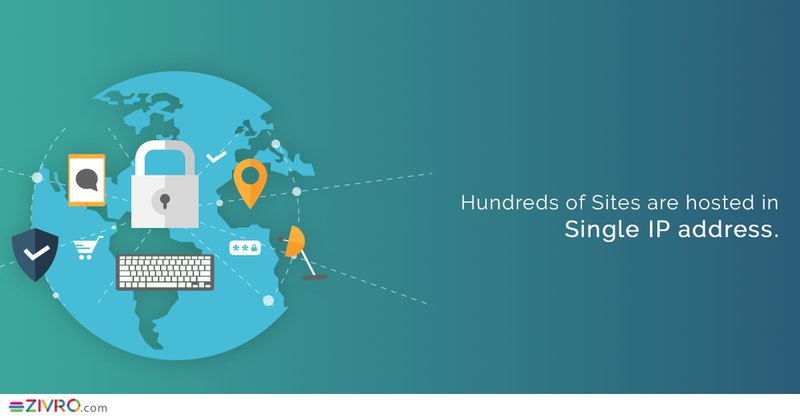 Hundreds of Sites are hosted in Single IP address, it is shared hosting so other members can host same category and content sites in that same IP. Then Your Site Will be Affected by Google Manual Action and the funny part is you will be blocked by google for someone else’s mistake. Crucial aspects of web hosting are definitely the amount of disk space and bandwidth and in this case, you can reach the upper limit within no time. Taking a more prolonged period of time to load pages and can be rather frustrating to your visitors. This may result in losing your traffic as your visitors may decide to seek information elsewhere. System or Server crashes with shared hosting still remains a problem. If a load of so many websites is there on the server, it can crash. Sharing the same IP- All websites on a single server have the same IP address and therefore, you share your address with unknown people, who may be using it for malicious activities, in case they get blocked, you are blocked along with them, even when you are not the culprit. Nowadays, having a website is the norm for any company, and contributes greatly towards the growth of the organization. So, you should understand both sides of the coin before you pay money for that cheap website out there. Hope this explains why you should never opt for that cheap website out in the market. If you need a website that’s worth the price you pay for See here.